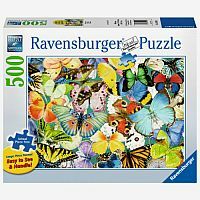 Butterflies 500 Piece Jigsaw Puzzle by Ravensburger has larger pieces for those who require a slightly larger piece size. The larger piece size is easier to see and to handle. 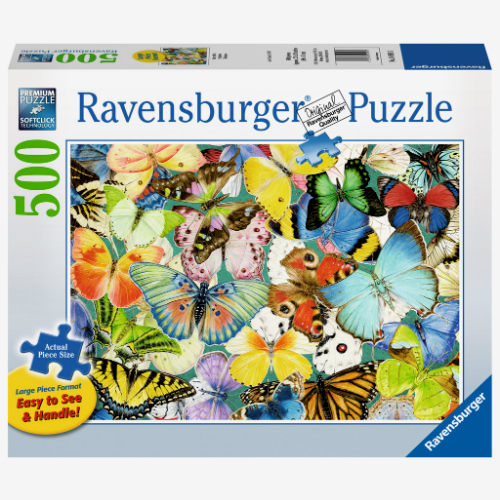 This beautiful puzzle features a large variety of butterflies. Perfect for spring or summertime or in the winter when you need a reminder of warmer weather. Completed puzzle size is: 27" x 20". 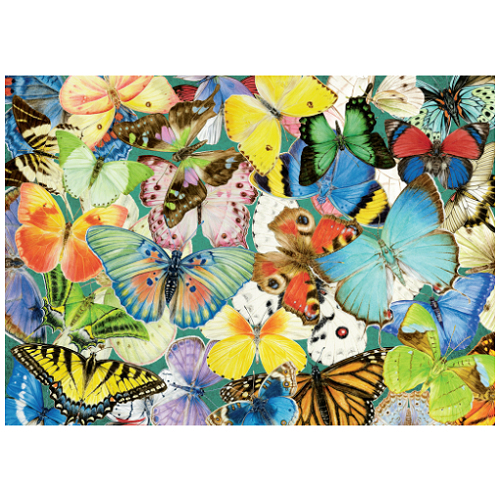 Measures approximately: 12.00 x 10.00 x 2.50 inches..